When backpacking the number one consideration has to be weight. You’re carrying EVERYTHING so many people choose not to even bring a stove. Check out my favorite backpacking stove for 2018 at Amazon. There’s lots of reasons you might but there are so many claiming to be the best backpacking stoves you’ll have to figure out which features are right for you. Some stoves are more versatile than others, and the most common differentiation is what type of fuel they use. Don’t forget if you’re going international to make sure if they’re allowed! What Types of Stoves Are There? Canister stoves – these are the safest choice for areas at risk of fire and are low maintenance. They screw directly onto self-sealing fuel canisters filled with pressurized gas. They are good for cold weather, simmering, ultralight, and are easy to use. Liquid fuel stoves – These are the only type allowed for international travel. They are powerful but are heavier and bulkier so they are good for winter trips or when you will need to melt snow. They use white gasoline but others may also use kerosene. This is the most versatile type of stove but not the easiest to use. Solid fuel stoves – These are very simple stoves which burn for about 12 minutes per fuel block. They are slow to cook and susceptible to wind. The fuel tabs are also expensive when compared to other types but much lighter and more convenient to carry. Fuel can also be hard to find in thru towns. Alcohol stoves – These are the simplest stoves and are very light. They are cheap and convenient using liquid alcohol products like Heet as fuel. They are slow to warm up and do not perform well with wind. There is also a higher risk of fire if the fuel spills. Wood Stoves – These are popular because many wood stoves use trail debris as fuel so you don’t have to carry any with. They require more time and effort to master which can be hard after a long day. It can also be difficult to find fuel above the treeline. These are best at boiling water and for ultralight. A backpacking stove should be lightweight but strong enough to do the job. You’ll need to determine a budget. You can pick up a cheap camping stove at most camping retailers but it may only last you one trip, others come with extra features like USB charging, solar batteries and more but do you really need to spend that on them? The price range varies from $20 up into the hundreds and if you plan on using the stove a lot it might be worth investing in one that is better quality. When backpacking weight is a huge consideration. If you have to carry your fuel with you as well it’s going to take up space that could potentially be used for more important or necessary equipment. You want something lightweight but if you need a power burner to melt snow for winter camping you may have to compromise on weight. Other features to consider include stability and wind performance, after all, you will be outside. If there’s inclement weather strong winds may cause your stove to go out, or fail to light. Others may not work at all in high wind. The stability as well can also be the difference between your food being eaten or ending up on the ground even if you’re careful. Obviously the first feature is weight. If you’re counting ounces as an ultralight backpacker or thru hiker everything counts and having to carry fuel will make a significant dent. Your choice will be different than someone who is looking to cook for a group of friends over the weekend and needs just something to cook on. If you are packing fuel you need to accommodate how long it burns for. Your burn time will determine how many times you can cook with that fuel and therefore how much of it you have to carry on your trip. When comparing, look for whether the rating is at full burn or not, and don’t forget whether you can source fuel along the trip. Look at what the average boil time of the stove is. This will determine how fast the stove gets hot and will help you choose based on efficiency. Integrated canister stoves are usually the fastest and use the least fuel while wood burning stoves are slowest but can burn indefinitely since you can source wood on the trail. Does your stove have a Piezo-igniter? This is a spark producer that is essentially an “on” button which means you’ll still be able to light the stove if you have no matches or if everything gets wet. Do not cook inside tents or in an enclosed space like a cave. Check all fuel lines for damage before operating. Bring a multi-tool for field repairs. 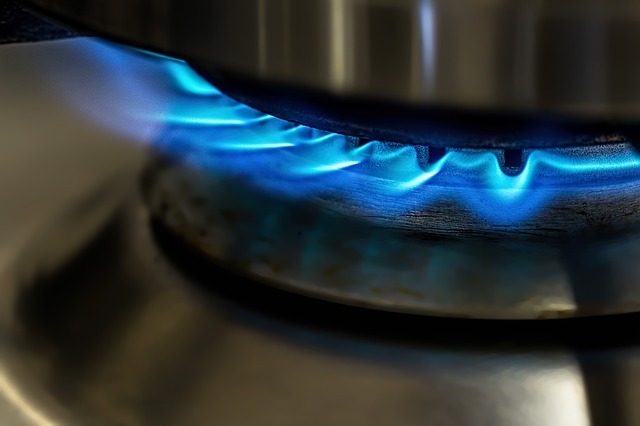 You may need to prime your stove to get it to heat properly. Empty the fuel before storing. If ordering a liquid fueled stove you will need to purchase fuel offline. Liquid fuel is illegal to be shipped by mail so you must purchase it at a store. A tiny and complete system fro Jetboil that is very convenient. It has a strong handle, Piezo-igniter, simmer control, and a sturdy design. It comes in seven colors and has a low spoon angle so you can eat directly from the pot and there’s also a drink through lid to keep the contents warm. This is designed to cook for 1 person only. It weighs less than a pound and uses a sideways design to store fuel and burner together to save space at 5”x6”. It also includes a pot support, hanging kit, and has a compatible coffee press. The pot support is separate. The stove has been tested to work down to 20F (but not below) and has a boil time of 4 minutes and 30 seconds. It uses isobutene-propane canisters which can be purchased at most camping stores as this is a common brand, with each canister weighing 100g. This is a safe stove for beginners and simple to use since you can also use it to put a pan on top to cook other foods. The BioLite’s USB charger is super handy. The first of its kind, BioLite integrated using very little fuel to produce a lot of heat and then doubled it with a USB charger. It charges most USB devices with 20 minutes of fire time adding about 60 minutes of talk time for the average smartphone. It has a comparable boil time with 4 minutes 30 seconds but uses only small sticks and leaves as fuel. The stove does weigh 2lb and is significantly heavy to accommodate the charger which you could skip. The power bank also powers a camp light and USB flash light built into the unit. It packs down into the size of a water bottle and has a battery powered ignitor to start the fire if you do not have matches. The stove also has a matching kettle, grill attachment, and pots but all are separate, however, you can also use any pot or pan with it which is convenient. The thermopile battery unit can also be removed which cuts down the weight and it can be fueled using solid fuel tablets as well. It is allowed in checked luggage on international flights with certain airlines. It has an adjustable fan so it can also be set to simmer or boil. This is one of the most popular backpacking stoves because it is very minimal. It uses liquid fuel and is very small yet surprisingly quiet. The design is simple to use and fairly stable but it also only works on full heat or off. It’s cleaned my simply shaking out any ash that might have formed and is solid stainless/brass. The stove weighs 11oz and 14.5oz with fuel. It comes with a lifetime warranty and works well in cold weather. This is a classic design that has been around for 25 years. It will burn for a maximum of 136 minutes per canister and has a fast boil time of 3.9 minutes. There is an adjustment knob for the fuel as well so you can lower the intensity. It’s made in the USA and uses a unique fuel pump that has fiberglass reinforcement for strength, the newest version the Arctic Fuel Pump is also especially rated for cold temperatures. While the footprint is large, the design is very open so you can pack around it since it is essentially a solid stainless triangle. This is a very open design so it’s a good idea to purchase the wind protector. You can also get a similar International design which allows you to burn multiple fuels and is suitable for air travel. It does take some learning to prime and learn how to get it started since you have to manually pressurize it but this means that it’s not so susceptible to changes in elevation or temperature. The Trangia is a great combo with 2 saucepans and 1 frying pan. One of the simplest alcohol stoves, this also comes with the wind screen and a screw cap to keep your fuel from leaking if you use the alcohol canisters. It has an 8 minute boil time, which is quite slow but if you choose the gas version this is cut down to 3.5 making it the fastest. There is also a gas version available and several other varieties of the burner including an anodized cookware set, a mini stove, and more. It weighs 1.6lb and packs down to 7.25” by 4”. There’s a cover/bag for storage that can be purchased separately so the cookware, stove and burner can all be stored inside itself within the bag as well as a compatible 0.6l kettle for a small footprint (with room to spare to add more inside like utensils). It’s made of ultralight aluminum and the cook set comes with two 1l saucepans and 1 7.25” frying pan so this would work great for a group. There is also an optional winter heating pan so that this can be used in cold weather. Denatured alcohol bottles are very easy to find and most hardware stores carry them, making this convenient for thru hikers. It’s quick and easy to prime as well as being about midrange in price. The set comes with one pot holder so you may want to purchase a second if you are in a group and do not plan to bring bowls but it could also be left behind for ultralight. 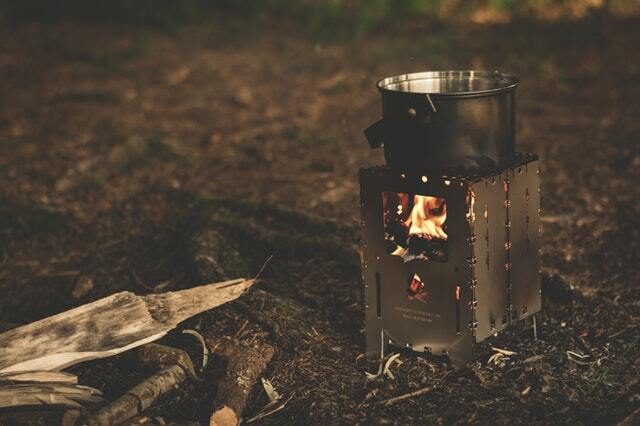 The winner is the Esbit Titanium Stove for it’s foldable design and tough titanium material. Even more minimal than the WhisperLite, this folds up into a flat L shape. It’s made of sturdy titanium and has a tablet tray to hold the fuel cubes in place. It does not come with a pot but considering its price the matching pot (purchased separate) is hardly expensive and the difference in weight negligible. It fits into a mesh storage bag and packs down to a mere 0.4oz and 3.3”x1.1”. The tray holds a single Esbit fuel tablet which has 12 minutes of burn time and leaves no residue. Each tablet weighs 0.5oz and can be extinguished and relit with the boil time being 5 minutes (with each tablet allowing for about 5 more minutes of full boiling). It is actually a more efficient stove at high altitude than any other. The fuel tablets do leave a residue on the bottom of your cook pot so you’ll need to clean that before storing or using it again. It’s ideal for boiling water but there’s no way to adjust the heat. The best backpacking stoves are all lightweight and efficient. The overall winner has to be the Esbit for size, weight and convenience. Check out the Esbit Titanium Stove at Amazon. While fuel can be harder to find, the cubes weigh so little that it’s really negligible to simply take a couple of extra. The price is very affordable and you can buy all the extra features like wind cones if you need. If you’re looking for hidden gems to go hiking on your next outdoor adventure check out our recommendations in Idaho, North Carolina and America’s Hiking Heart.